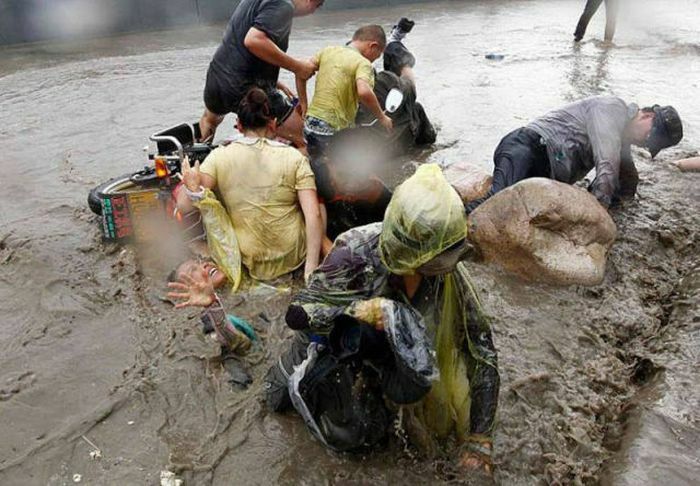 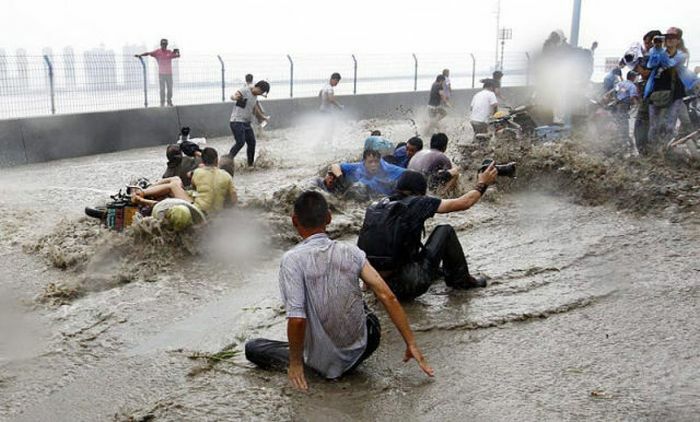 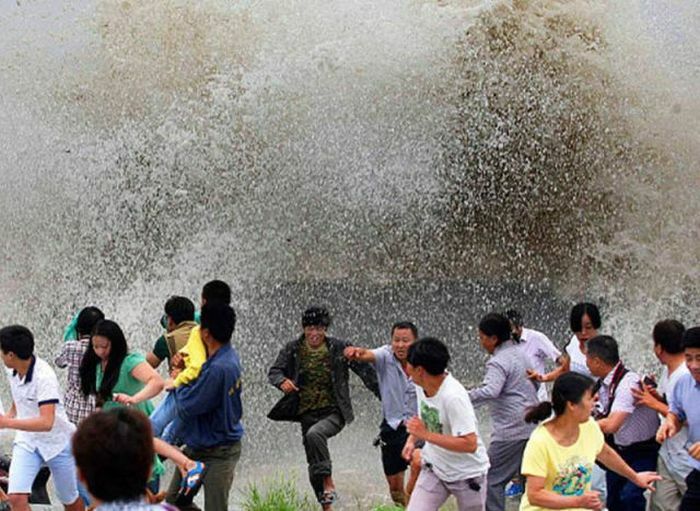 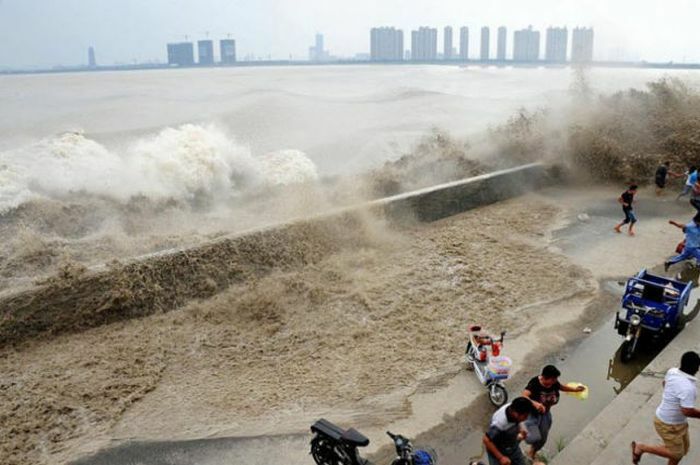 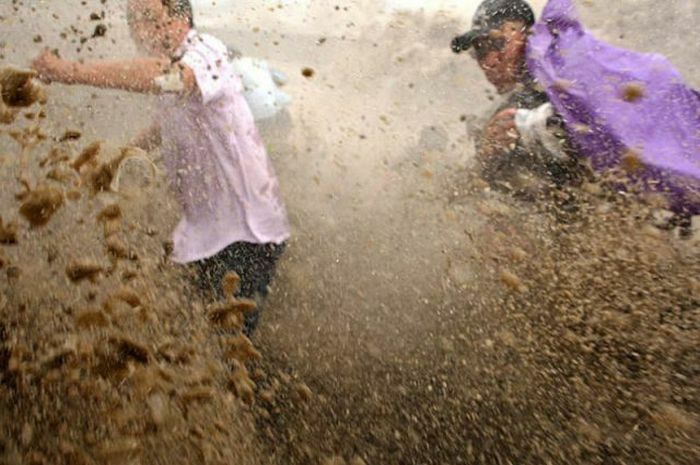 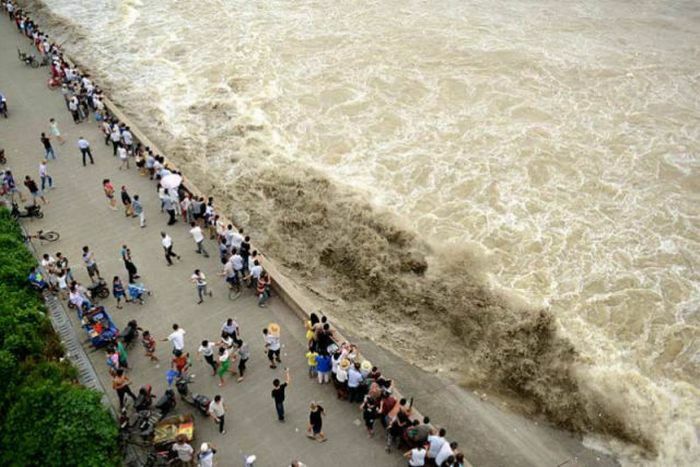 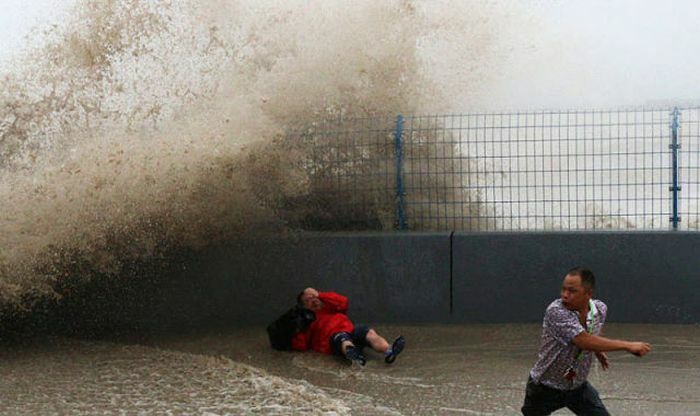 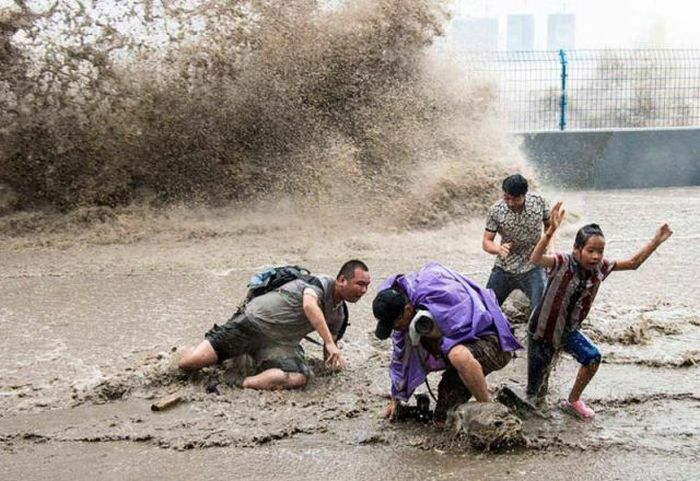 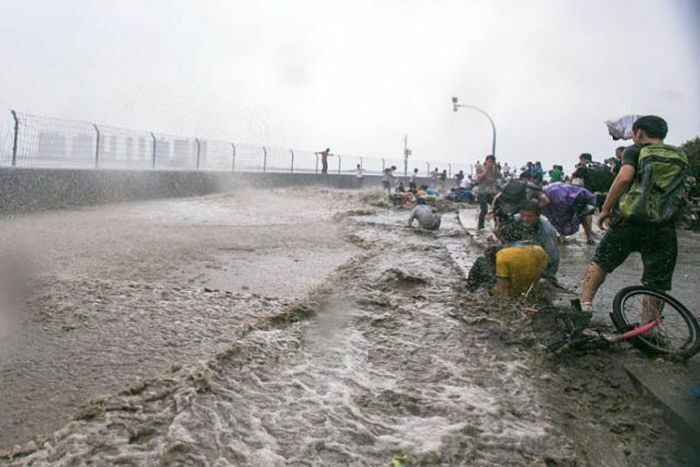 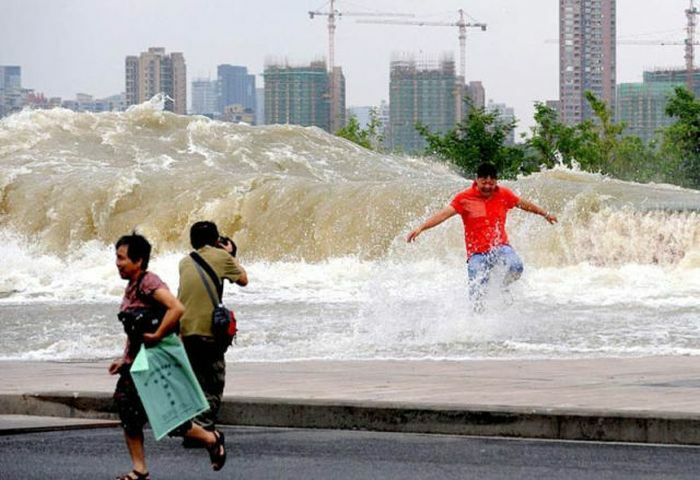 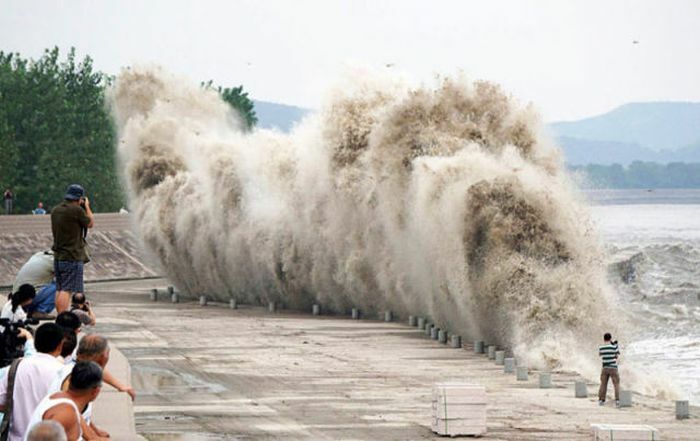 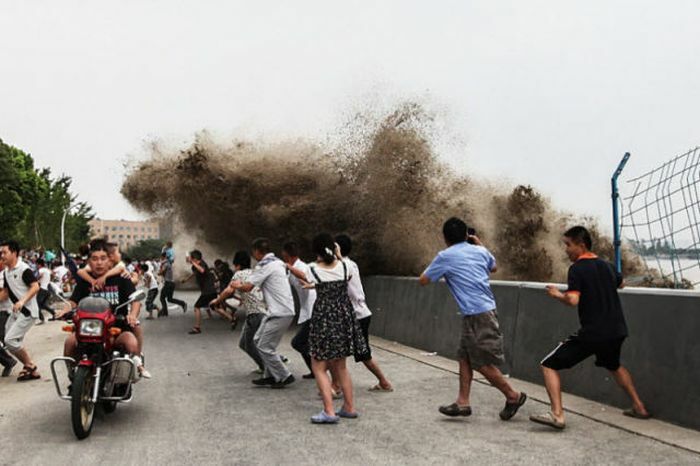 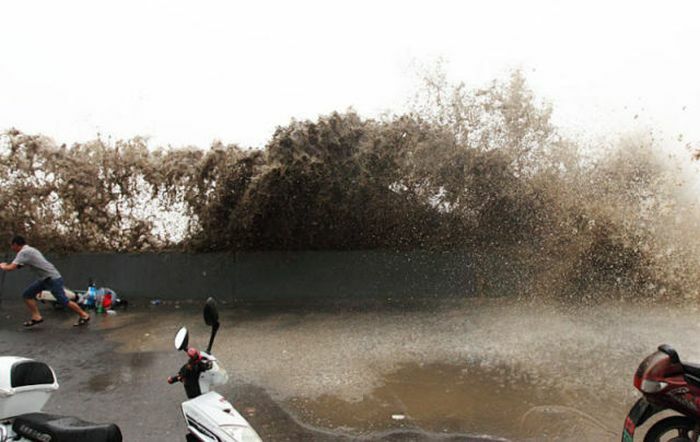 These people were passing by the The Qiantang River when suddenly they were hit with a massive tidal wave. 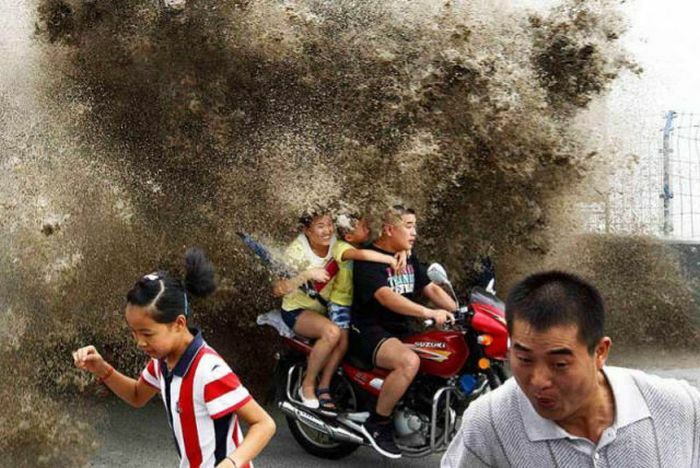 As you can see, everyone was more than a little surprised. 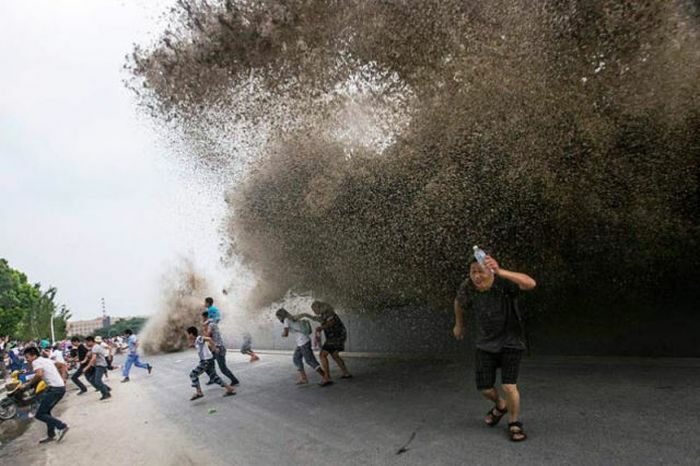 no by surprise. 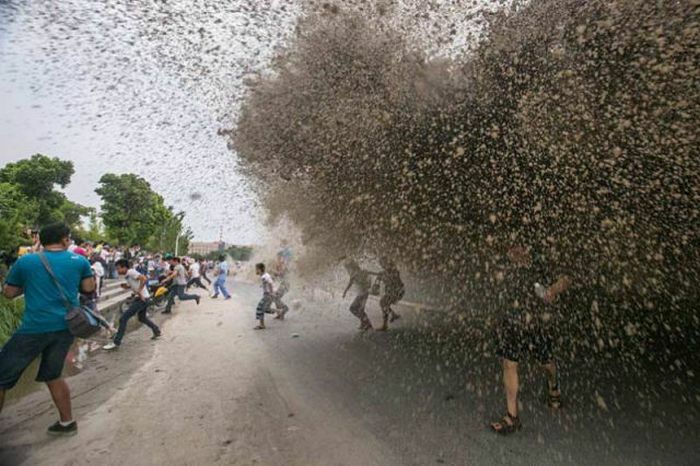 it happens every year and people visit there at the right time on purpose. 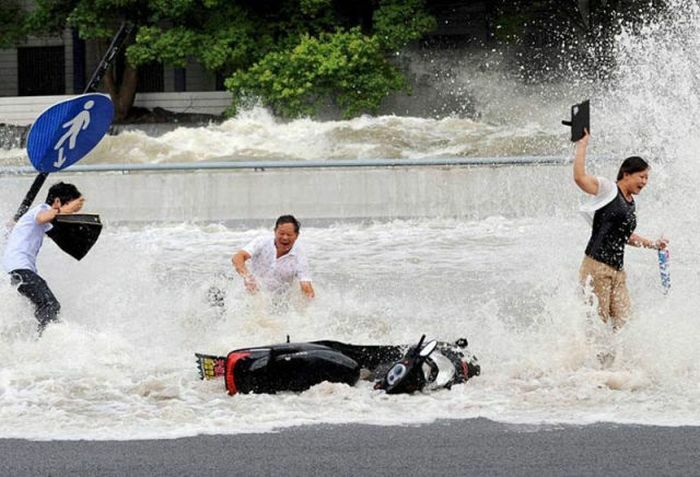 They got the action they were looking for. 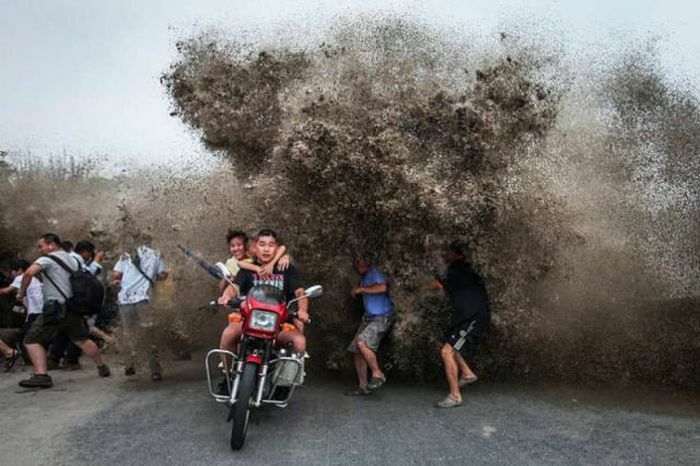 There is a video somewhere on the net of the same thing.